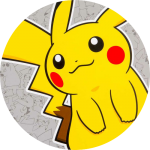 Follow Pokécollective on Twitter for the most up-to-date news! Thank you for stopping by our site today. Pokécollective is a new online project designed to help Pokémon collectors and merchandise enthusiasts all around the world. Please check back regularly for more updates as we grow!